Looking at the motorway map of Europe, Romania is a blank spot on the fringes of the continent’s busy network. The country is the 7th largest among EU member states in terms of population, but has only 748 kilometers of motorways, less than Bulgaria, which is about half the size of Romania. But even the small Romanian motorway network, which looks like a nonsensical puzzle to the unaccustomed eye, is split in two and the country has little chance to connect the two sides within the next decade. Romania – which in 2018 celebrates the centennial of its union with Transylvania and other smaller provinces – is building two separate motorway networks, and the fracture line lies exactly on the ancient border between the Romanian Kingdom and the former Austro-Hungarian Empire, which included Transylvania and the western province of Banat until 1918. In fact, the border between motorways, like the ancient border between separate states, is a natural one: the Carpathians, a long mountain range separating Transylvania from all other Romanian provinces. At the moment, the Western province of Banat, with its rich city of Timisoara, is the only Romanian region fully connected to the Western European motorway network, through the Nadlac/Csanádpalota border motorway crossing point. But if you enter Romania from the Hungarian border travelling by car, your trip turns from pleasant to complicated after only 160 km. Near the village of Margina, you have to exit the motorway and continue your trip for the next 60 km on an old two-lane road, with limited speed and busy traffic. You re-enter a motorway for the next 132 km to Sibiu, the Saxon-built city in Southern Transylvania, and then there’s no more motorway until Pitesti, a city located 100 km north-west of Bucharest. But the situation is about to change. 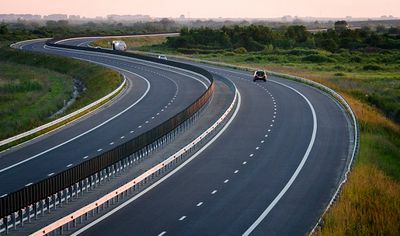 By 2020, a new motorway (A10) will connect southern Transylvania with northern Transylvania, and the missing link between Banat and Transylvania could be finished by 2023, so Transylvania and Banat will be connected to Hungary and the other Western European countries. 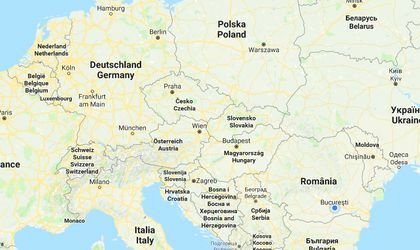 That means that within five years, it will become much easier to travel from Transylvania to Budapest, the former Capital city of the province until 1918, than from Transylvania to Bucharest, the present-day Capital city, which decides which motorways are built in Romania, and where. But the missing link between Transylvania and Wallachia, the Pitesti-Sibiu motorway section, has little chance to be done within the next decade, and the main reason is incompetence, experts say. “Some sections of the Sibiu-Pitesti motorway could be completed within eight years, but the entire project could take at least 15 years,” Pro Infrastructura Vice-President Ionut Ciurea told Business Review. Pro Infrastructura, an NGO that monitors infrastructure projects in Romania, constantly criticizes the government’s administrators of motorway projects. 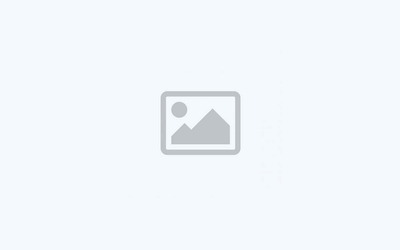 “There is a lot of incompetence on the auction side, there are weak task books. It takes a year just to launch an auction in Romania. Generally speaking, there is a lack of administrative capacity to manage large infrastructure projects”, Ciurea said. Worse yet, the motorway network built around Bucharest is not connected to any other motorway network and there is no connection project other than Pitesti-Sibiu, so there are three motorways (Bucharest-Pitesti, Bucharest-Ploiesti and Bucharest-Constanta) used only to connect the Capital city with (some) other areas of the country. Moldova, Romania’s poorest region and among the poorest regions in EU, has zero kilometers of motorways and the situation will not change soon. In fact, only one motorway project – Bacau ring road – in Moldova is advanced enough to be completed within the next few years, but this motorway section doesn’t solve any of the region’s main problems. “The Bacau ring road will be the first motorway in Moldova, that is certain. It will be completed by 2022 if there are no other delays, and will solve the traffic problems in Bacau, so it is a useful project,” Ionut Ciurea indicates. The region needs good infrastructure connections with Transylvania and Western Europe and with Bucharest to escape its historical isolation, but the government’s priorities for the next decade don’t include Moldova. The A8 motorway – projected to connect Iasi, Moldova’s main city and former Capital, to Targu-Mures and the Transylvanian motorway system – is frozen and no money are available for its construction. This lack of infrastructure poses huge difficulties for a region trying to keep pace with the rest of the country. “In Romania, where only the extreme Western part is connected to the European motorway system and where you need almost a day to cross the country from east to west, the distance to the end of the motorways plays the role of a filter of investment in industry – the sector that currently dictates the economic hierarchy of the counties of Romania,” George Turcanasu, a professor of geography at Cuza University of Iasi, wrote in a press article. But the lack of infrastructure affects Romania as a whole by making it irrelevant at the scale of the continent. “Ignoring this connection (between Moldova and Transylvania) reduces Romania’s chances of playing an important role in continental relations, especially because in the north-south direction Romania is more likely to find itself in a ‘cul de sac’ posture,” Turcanasu said. In fact, the difference in infrastructure networks enlarges an already huge development gap between the poor and rich regions of Romania. According to Eurostat, the biggest decreases in employment among EU member states’ regions were registered in 2016 in North-Est region – Moldova (-3.8 percent) and South-West Oltenia (-3 percent) in Romania. The North-East, a region including most of Romanian Moldova, is the 5th poorest region in EU, after three Bulgarian regions and France’s ‘Outremer’ Mayotte region, with 36 percent of EU’s average in purchasing power standards (PPS) per inhabitant, Eurostat data show. North-East (a large part of Romania’s Moldova), the poorest area in Romania and EU’s fifth poorest region, was only 36 percent of EU average in terms of development in 2016, compared with 139 percent for Bucharest region, 60 percent for Vest region (including the rich Timisoara-Arad area), 54 percent for Centre region (southern Transylvania), 51 percent for North-West (northern Transylvania), 50 percent for South-East region (including the rich port of Constanta), 46 percent for South-Muntenia and 42 percent for South-West-Oltenia region, according to EU’s official data. Compared with 2007, the West region’s GDP per capita in PPS rose 12 percentage points (pp), from 48 to 60 percent of EU average, the South-East by 14 pp, the two Transylvanian regions and Muntenia by 10 pp, while the two poorest areas in Romania – Moldova and Oltenia – lagged behind with an increase of just 9 pp. This evolution poses threats to the national cohesion in Romania, experts warn. “When we have a center for which national territoriality means only the servitude of the periphery or peripheries that rebuild their identity by appealing only to their qualities and to the neighbors’ defects, most often exaggerated, is the nation functional?”, George Turcanasu says.